Also known as the Air Jordan 1 Retro High ’97, the officially named Air Jordan 1 Retro High TXT is set to release on December 31st in the Gym Red/Black/Gym Red colorway. This shoe has the same silhouette as the Air Jordan 1 Retro, but features inspirations from the Air Jordan 13 as well. 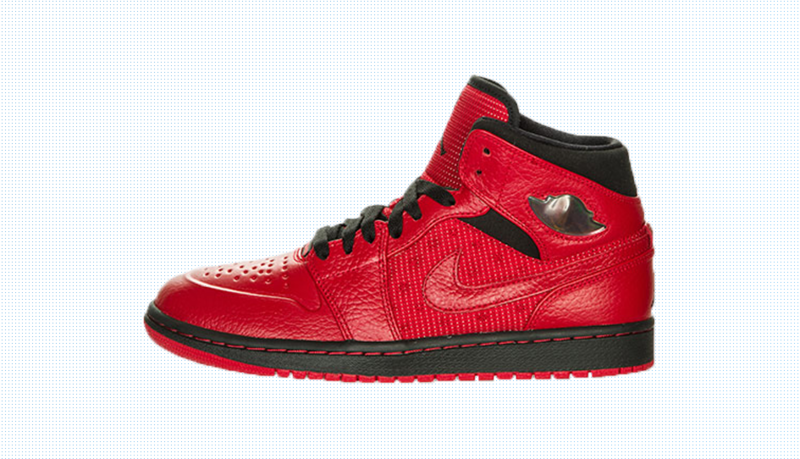 The Air Jordan 1 Retro High TXT “Gym Red” is composed of a predominately Gym Red upper, consisting of a nice pebbled leather material. Panels on the side of the shoe as well as the tongue comprise of Gym Red mesh material, similar to the same mesh material used on the Air Jordan 13’s. Also inspired by the Jordan 13, the Jordan Flight logo on the upper back part of the shoe is holographic. A Black ankle collar as well a Black midsole and laces finish this sneaker, giving them that classic Chicago Bulls colorway. So if you are going to be shopping for some New Years Eve kicks, wake up early on the 31st and head to Finish Line to cop your pair of Air Jordan 1 Retro High TXT “Gym Red”.